The Poker Hall of Fame is located in the Binions Horseshoe Casino, Las Vegas, and was founded in 1979 by Benny Binion to pay homage to the best poker players in history and attract more tourists to the horseshoe. 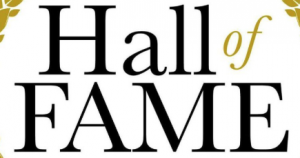 A new player is inducted into the Poker Hall of Fame almost every year, except for the first inauguration of seven founding members in its founding year. The player must have played high stakes. The player must have played at the biggest events with strong opponents. The player must have played consistently well and won the respect of his colleagues. As of today, in 2018, there are 54 players in total who have been admitted to the Poker Hall of Fame and 22 of them are still alive. In this article we would like to take a closer look at some of these players and give you some information about them. Click on the respective name of the player and you receive all important information and achievements.